Sleep? Where we're goin' we don't need sleep. Good old Aldi; if the supermarket chain isn't bestowing upon us random delights to aid us in our angling, or cycling, or skiing, or building, or cooking, or baking, or camping, or tablet, or smartphone needs (phew), they are sending us boat-loads of coffee and daring us to drink it all, stay up all night, and then operate heavy machinery dangerously close to a school. Or something. Anyway, let's have a look at Aldi's latest Specilabuy range... Coffee! 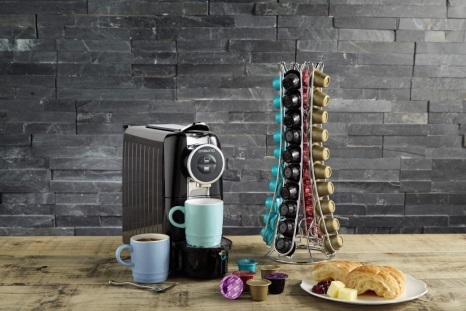 Included in this quite sparse range is a capsule espresso machine, a milk heater/frother, coffee capsules, ceramic espresso cups, and four different styles of capsule holders. Basically Aldi has put together a very select group of items to help you make 'better' coffee at home. Because instant coffee is garbage and you're a bad person for drinking it. Sorry. Like we said, we're full of caffeine. As ever our dear chums at Aldi have sent us a couple of items from the new range: the capsule espresso machine and the milk frother. 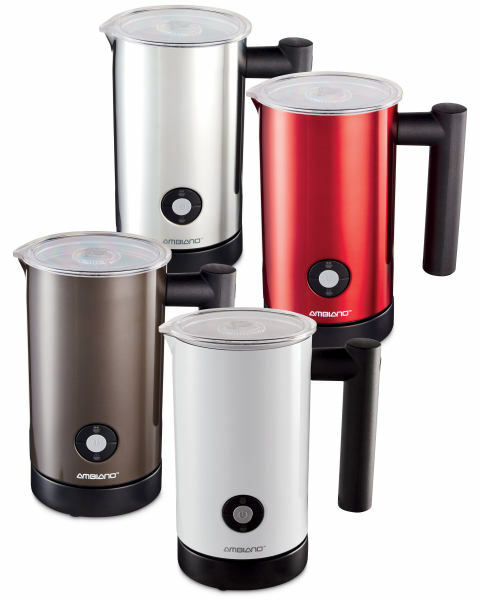 The frother is actually really handy as the unit features a a removable jug unit which can froth 115ml of milk, or simply warm a bigger load of 250ml. This was all achieved quite quickly, and we found we could froth and heat milk for two cappuccinos in about four minutes. Once done, simply lift off the jug and pour. We're also very happy about how easy it is to clean, and with a compact profile (as well as coming in four non-vomit inducing colours), this is a good bit of kitchen gadgetry. However, the main event for us was the capsule espresso machine. 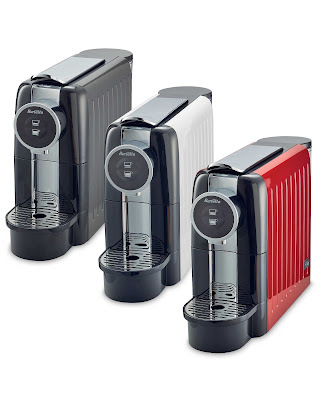 Built by Ambiano (who have made other kitchen goodies for Aldi previously) the machine takes coffee pods which are the exact same shape and size as those made by Nespresso. Aldi also does their own range of pods to those dimensions, so while you're picking up one of the machines, grab a pack or two. Or, you know, just use you existing Nespresso pods (we found a pack at the back of a cupboard). The machine features a 0.7 litre water tank on the rear, a metal crank arm on top to press in the pods, and a removable drip tray and spent capsule catcher. Oh, and suction cups on the bottom to keep it stable on the kitchen counter. Which is, quite frankly, inspired. The operation of the machine couldn't be simpler, as there is no built-in milk steamer to complicate things, and only two light-up buttons; short pour or long pour. Popping in a pod is super easy, as is pressing down the handle on top. It took about 40 seconds to get to pressure, and then about another 20 to pour a shot of espresso. We used Nesspresso espresso pods on it, so we can't really comment on the quality of the drink itself here, but needless to say that it looked great, poured smoothly, and had a proper amount of crema on top. If you're not to bothered about the technical fiddly bits of making pod coffee, this is a great machine, further aided by the fact that it has a very slim shape and is available in three colours. Again, ones that don't make us want to be sick.